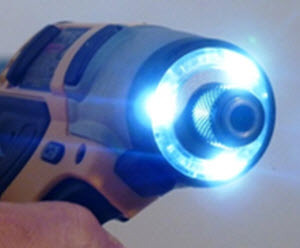 December 27, 2011 By Paul Mayer & filed under Buying Advice, More Portable Power Tools, Portable Power Tools, Tool Education. I’m going to spoil the ending. Yes you do need an impact driver, right away. Stop reading. Go to store. Buy an impact driver. Thank me later. If you feel the need to understand why, read on. Impact Driver vs drill; what’s the diff? Let’s sort out the differences between traditional cordless drills and impact drivers, so that woodworkers everywhere can prepare for this potential dialog in their own home. 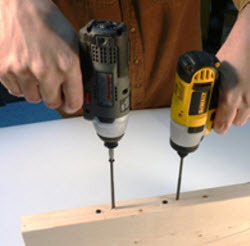 Woodworkers use drills for a combination of drilling holes and driving fasteners. Some of the work is lightweight, and some requires some brute force. Although I prefer building fine furniture with nearly invisible fasteners, I find myself driving long sheet rock screws on many projects in the shop, and that’s what the impact driver does best. For installing cabinets, building shop furniture, theater set construction, framing anything with dimensional lumber, or building a deck, the impact driver will be your new best friend. Hey, where’s my clutch? Another reason an impact driver won’t replace your drill is that most drivers do not provide a clutch, which is their primary downside in my view. Regarding the clutch, the trade-off is length and weight. A keyless chuck adds a bit of mass and (more importantly) length to a drill, which can make it an unwieldy fit in tight spaces. Drivers are noticeably shorter, so you can get them into places where your cordless drill doesn’t have a chance. There are impact drivers on the market with a clutch, but they are quite a bit more expensive, and much longer than those without, and current generation designs do not allow the clutch to be used when the impact feature is engaged. So, it’s either a clutched drill, OR an impact driver, but not both at the same time. The optimal approach is to use a cordless drill with a clutch to drive lighter weight fasteners where a feather touch is important, and pull out the driver when you need the additional torque. Upside of a quick release hex chuck. When it comes to changing bits, the hex chucks on impact drivers are impressive. Just slide the outer ring forward, drop in the bit, let it slide back and it is locked and loaded. Very nice design. Let’s take a look at impact drivers from DeWALT and Porter Cable. When I performed my search for an impact driver, I found quite a few options that seemed like good choices. 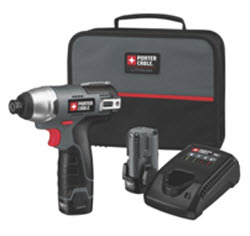 Several manufacturers are offering “combo kits” that include an impact driver along with a traditional cordless drill, using the same Lithium Ion battery (as someone with a cabinet full of different chargers and batteries, I say battery standardization is a great thing). When I compare the prices of these tools sold separately with the cost of the bundle, it is clear that the manufacturers are delivering significant value in the bundles. I like a good deal, and besides, the light, compact, fast charging Lithium Ion trumps my old Ni-cad batteries across the board, so I was sold on the upgrade. 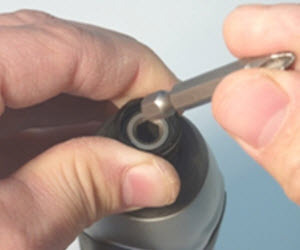 For applications that require pilot holes prior to driving fasteners (pretty common scenario), having a drill bit chucked up in the drill and a screw tip in the driver is a great approach. So, a combo kit it is. Based on features, value, and brand strength, I chose a combo kit from DeWALT for my shop and an impact driver from Porter Cable for use around the house as it will see a bit lighter use. I decided on 12V models rather than their 18V big brothers, because 12V delivers plenty of torque for woodworking and most DIY projects, and they are lighter and less expensive. If you are commonly driving massive lag bolts, or want to use it to remove the lug nuts from your truck, you might consider going with one of the beefier 18V models. Not surprising, given that they are both from the same parent company, I found both the DeWALT and Porter Cable units to have a similar form factor and feature set. The DeWALT units are slightly lighter on paper, but not noticeably in my hand. All of these tools are so light compared to their NiCad cousins that a few ounces difference is negligible. 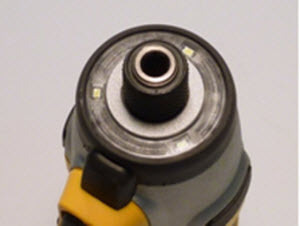 Since DeWALT is targeted mainly for extreme demands of the contractor crowd, and Porter Cable seems to target both the tradesman and DIY market, I suspect that if you cut one open (I couldn’t get myself to do it) you would find some additional durability built into the DeWALT design, but that is speculation on my part. 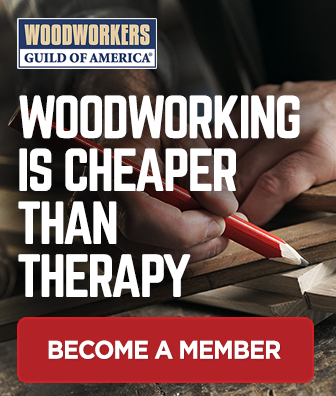 I am a fan of both brands, and I think either of these tools would adequately meet my needs as a serious hobbyist woodworker, and occasional DIYer. How about little light on the subject? Both brands also include an integrated light that comes on when the trigger is pressed, a feature that I will love the next time I am installing cabinets, or other projects where I am working in an enclosed space. As I was trying to determine some basic real-world tests to put an impact driver through its paces, I came up with a project that was perfect. I signed up for a father/son project to build a 4′ x 8′ Lego tournament table which requires a lot of screwing together of 1/2″ plywood and 2 x 4s. The project called for about (40) 2-1/2″ drywall screws, countersunk into birch plywood. In order to make it a decent test, I rounded the screw count up to an even 100. The impact drivers never broke a sweat while driving these screws. It worked great to pre-drill with the drill, and drive screws with the impact driver. Perfect results on 100 out of 100, and no fatigue in my wrists whatsoever. Can they drive 4″ screws? In addition to driving all those 2-1/2″ screws, I wanted to raise the stakes a bit. To me, a great test was thick shank 4″ sheetrock screws. I attempt to drive these from time to time with my traditional cordless drill, and it doesn’t like it much (in fact, it can’t finish the job). 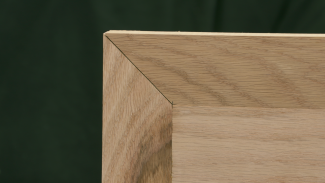 I was able to drive 4″ screws into framing lumber with ease using either driver. No kickback, stripping or slipping. It was fun. I couldn’t stop. I couldn’t believe it, and I still can’t. I let my 10 year old son try it. He, too, could drive long screws, although he didn’t get quite as giddy about it as I did. But he’s never experienced the “joys” of attempting it with a regular-old-drill either. Downsides. I would like to have a clutch built into the impact driver but that feature was not readily available in this class of product. The combination of high torque and no clutch makes it less than ideal for driving lightweight fasteners. 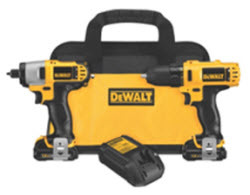 Having said that, if I had the choice of getting a nice drill along with the impact driver or getting an impact driver with an integrated clutch, I would take the combo kit with the drill, and that is essentially what is being offered. Also, I would like to see a third battery in the combo kit. With two tools and two batteries, I am down when a battery dies, or sharing a battery which is no fun. But with a thirty minute charge time and impressive run time on a charge, I admit this is a minor concern for a weekend warrior. Frankly, there is not much else that I find lacking in these tools. So far, my expectations have been surpassed, and now the only question is longevity. Based upon the solid construction I am reasonably confident that I won’t wear these out, and I anticipate only buying again when the batteries no longer hold a reasonable charge. Based on the advantages of impact drivers in securing fasteners, I believe they are a good fit in a woodworking shop. Given the lack of a clutch on most models, and the inability to support round shank drill bits, drivers are not a substitute for a traditional cordless drill. Combo kits that include both an impact driver and a drill/driver using the same 12V lithium ion batteries offer a great spectrum of capabilities for woodworkers, and a great value as well. The tools that I looked at from DeWALT and Porter Cable are both superb choices for the woodworker. The DeWALT impact driver delivered slightly better power and performance, and the Porter Cable offers impressive value and very good performance (more than enough for my woodworking and DIY needs), so either one is a great choice. 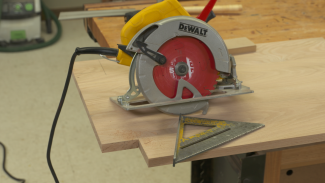 If you use your tools all day, and/or tend to be rough on them, you might lean toward the DeWALT. If you are looking for good price/performance, then the Porter Cable unit might appeal to you. Porter Cable also offers a comparable combo kit to the DeWALT, which would be worth consideration as well. Bottom line; you really can’t make a bad choice here. Well, I have done my best, but if I have not given you ample ammo for your “yes, dear, I really DO need another drill” debate with your significant other, feel free to send him or her my way and I will help represent your case. Also, below you will see our youtube woodworking projects video reviewing both the impact driver and drills. Great article, I’ve been wondering why I absolutely needed a inpact driver. Now I know. Wish I had read this before Christmas. The impact drivers ability to drive long screws into dimensional lumber, without stripping them, is unbelievable. I built a new deck and fastened the wood deck boards with a standard cordless drill and have no problems. Recently added to the deck and used an impact drill this. A month later the boards fastened with the impact drill are coming loose while the first boards are still holding tight. In my opinion, this impact drills are overrated and will cause problems with the installation later. We are installing screws, not hammering nails. These drills are trying to hammer the screws. I think this is a bad idea in soft wood. I drill is meant for more precision work like drilling holes and the impact driver is meant to drive screws especially if you building decks or fences. To say an impact driver hammers screws is incorrect. Hammer drills do hammer but impact drivers turn screws with impact. I have built fences and decks for more than 30 years and a cordless impact driver saves time, effort and is light to handle. I don’t even know how a board can come loose after installing properly with wood screws. Excellent reviews, substitute in for major reflective” down to earth” with real individuals who have given their opinions. Commendable! Thank you so much. Long live this Great Republic! 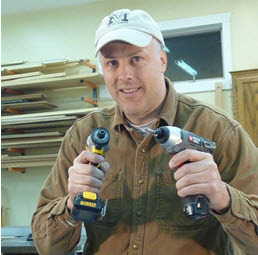 I have used both, as the article said you NEED both, I am a contractor, and I have found the impact driver invaluable. The impact drivers ability to drive long screws into dimensional lumber, without stripping them, is unbelievable. Square drive, Phillips, torx, Phillips 2, whatever, they drive screws without stripping them. I’ve owned a Festool 15 + 3 as well as previously a Porter Cable 18v and DeWalt 18v drill drivers and after picking up a DeWalt 18v impact driver, I sold the Festool. I drive screws much more than drilling and an impact works best for me for its weight./power ratio as well as its battery life. Great article! Very informative and easy reading. Great info and content – Hope you provide more reviews Thanks !! I bought some Ryobi hex shank bits from Home Depot. They fit loosely in my new Porter Cable 12v impact driver. The tip wobbled badly. I took them back. PC does not appear to sell these bit. I’m looking at Dewalt DD5060, but I hesitate to order them(HD and Lowes don’t have this set) if I can’t easily tell that they fit snugly. Any suggestions? Avoid Dewalt, Ryobi. Buy good bits like Milwaukee or Makita and use a bit holder/extention. (2″) There are many good bits out there. Do a Google search for best drive bits and if possible use Torx or Square Drive screws. Good deck screws from your local home center or hardware store. Did you pull back on the lock? Most of the impact tools require you to lock the bits in place by pulling back or pulling forward on the outer ring. They are not spring retention (slip fit bits). Great article..the one thing that really jumped out at me is the need to purchase unique hexagonal shaft drill bits. Did I get this right? Hi Christopher, If you wanted to use drill bits you would need hex shaft bits, but I would discourage you from using drill bits in an impact driver as they do not perform very well due to the impact action which leads to rough drilling. The impact driver is much better suited for driving fasteners using standard hex shank bits. G. Griffin, I am not sure what to say on your question as I have not had any hex shank bits that didn’t fit well in my impact drivers (PC and DW). Great article! My cordless ni-cad batteries are at the point of replacement for my 18v Craftsman Cordless drill, which still works great. I was weighing the cost of replacing the batteries versus getting a new unit with a lithium-ion battery. Lowes has a special right now on the PC 18v combo so I think my choice is made. Your article helped to seal the deal. Thanks! Thanks for the comment. Yeah, the manufacturers seem to price replacement batteries in such a way that promotes the purchase of new gear. The upgrade from ni-cad to lithium ion alone will be worth the upgrade price, especially in 18V where ni-cad batteries are massive. Let us know how you like your new PC 18V combo! Great article, this is exactly the information I was searching for wanted a comparison to see if I really needed one. Thank you very much! I have two, a Porter Cable 20v lithium and the 20v lithium B&D. I really can’t see how I lived with out these. What a work saver! Fantastic article. I learned so much, and just at the time i’m making a buying decision. Much appreciated. I agree with everything you said! My life is happier with an impact driver. Actually I own and impact “drill”. Neat. Not cordless tho. A really useful, informative article, thank you Paul! Now I KNOW I need an impact driver!! I’m a “superwoman”- -body worker, healer, caregiver, cook, maid, gardener, etc, etc. But when it comes to tools…pfffft! The batteries on my drill weren’t holding much of a charge- which was very frustrating when trying to do any project. I went on line to fine a replacement battery and found that for a little more than the price of 2 new batteries, I could get the combo of a new drill, 2 batteries, a charger, and, an impact driver. Great! But what the heck was an impact driver and what did I need it for??? Thanks for the very informative article…now, I know!…that I need all of the combo. lol This will save so much time not having to switch the bits back and forth, too. GOOD DISCUSSION. I BOUGHT MINE YESTERDAY , AT ORCHARD SUPPLY HARDWARE. THE $149.00 KIT WITH 2 BATTERTIES, A CHARGER, AND THREE TOOLS. A FLASHLIGHT WITH A BUILT-IN STAND AND ROTATING HEAD, A DRILL DRIVER AND AN IMPACT DRIVER SEEMED LIKE A DEAL…AND I HAD A NEED. MY HUSBAND LEFT ME AFTER 37 YEARS AND TOOK ALL THE COMMUNITY TOOLS WITH HIM. OKAY, I CAN ADAPT. I HAD NEVER HEARD OF AN IMPACT DRIVER SO NOT TO APPEAR STUPID IN THE STORE I TOOK THE DEAL AND NOW I’M HOME READING UP. I AM PLANNING TO INSTALL A “CABIDOOR” (THAT I ORDERD FROM COSTCO) TODAY WITH THE HELP OF MY SINGLE FEMALE NEIGHBOR, AND I DIDN’T WANT TO FEEL LIKE THE TWO STOOGES PUTTING UP A NEW-FANGLED CONTRAPTION WITH NEW-FANGLED TOOLS TO BOOT. ONE QUESTION: WHAT THE HECK IS A FASTENER….THE SAME AS A SCREW? Great story; thanks for sharing! Good for you for “tooling up” and taking on some projects. Yes, you are correct; the term fastener is a generic term that includes anything that is used to hold two parts together; nails, screws, bolts, etc. I bought a Porter Cable combo kit, which had the drill/driver and the impact wrench. They are 20v and I love them. I will probably give my old DeWalt to my daughter. Just love my P/C. I wish I had it when I built my workbench. I ruined a lot of screw heads with my drill/driver. Power tool geeks beware. Impact drivers are wonderful for the user, but utter hell if you are a neighbor. I am one of those neighbors whose life has been turned into a living hell because of my neighbor’s love affair with his impact driver. If you use an impact driver, please realize that your increased ability is bought at a very high cost – other peoples’ peace of mind. Unless you live miles away from anyone, your use of an impact drive WILL cause harm to others by creating a HUGE increase in noxious noise. If I am starting to build my tool set would it be smart to invest in the impact driver over the drill as the only negative he seemed to mention was that round bits wouldn’t work. As I have nothing to replace I figure I could just build my set around the hex bits. In my experience, the impact driver’s battery is quickly depleted when boring holes through wood… Which is reasonable, since that’s not really its intended use. If you’re not sure and you can only afford one tool, buy the drill as it’s more flexible: it does a better job for lightweight work, and is capable of doing medium-weight work. If on the other hand your expected jobs will be mostly involve driving fasteners medium-to-heavy fasteners, buy the impact driver. Thanks for the information! I got a Porter Cable 1/4″ impact wrench from Lowe’s, with a Christmas gift card, but got home and was pissed that I didn’t have a battery, or a charger! I wasn’t careful to notice they weren’t included! So I have to go back to the store, and was glad to get your information. Been looking over the last couple of weeks to purchase combo kit. I read stacks of reviews, listened to what the big named stores had to say but I must say your information puts them all to shame. Well done and thanks, I’m confident in my purchase now! Excellent article Paul – thank you. I bought a Dewalt brushless impact driver and combination drill a couple of weeks ago. I have just built a log store and the impact driver made screwing in 80mm screws very easy and fast. Care is required not to drive in too far and pre-drilling is a must in situations were splitting the wood is a possibility. 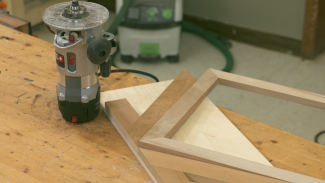 I would not go back to using a drill driver for such tasks – too much like hard work. Thanks for a great article. I’m just finishing a course at my community college on Intro to Carpentry and we used a couple Impact Drivers on our first project. This article helped me understand the differences between it and drills. I really enjoyed your piece. I was particularly happy to see you use Bosch tools, although they were the 12 volt ones. Mine are 18 V, L-I and I cannot tell you how much I use them and use then hard. I don’t know how I ever got along without them. I did NOT sell my Festool, however! Bought a Black+Decker drill without a clutch and like to know if they make an adapter that I can use. Thanks for your question. I’m not sure what they have for this. I’d suggest contacting Black and Decker directly at 1-(800)-231-9786 or http://www.blackanddecker.com/. It all depends on the work you do. For me, an impact driver is useless. The fasteners I deal with are rarely longer than 1.5″, and I have to drill holes as much as I drive screws. My primary tool is an 18v drill/screwdriver/hammerdrill. I use all 3 functions regularly, as well I use both speeds and almost 80% of the clutch range. I remember once unscrewing 1000 different screws in a day (taking stuff apart)… adjusting the clutch for each screw type, only using the minimum clutch needed for each screw … it really saved my battery juice and kept the drill cool. I deal with installation and assembly work… lots of machine screws, lots of thin materials, etc. Not much structural wood work except when dealing with TV mounts, however the regular 18v drill can deal with that. When I’ve had to drill 4″ wood screws into sandwiched 2×4’s… yea, my drill was crying and I ended up finishing the screws by hand. Still not worth buying an impact driver just for that odd time, unless a sale comes up. Great piece written here… just wat I was searching for to know, nicly written. P.s. in conclution grapf it would be possible to also note the weight diference between them. Hi, Martin. Thank you for the feedback. The weight difference between the two is negligible. I would suggest choosing between the two based on your requirements rather than the weight. Well I’ll be!! Thanks for a clear explanation. That really helps. Thank you again. 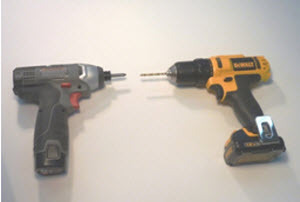 Found your article while researching drill/drivers vs. impact drivers, I am have recently become a single mom n I want to beef up my ‘tool’ repertoire just to be able to do small odd jobs around the house, as my first ‘drill type’ purchase I’m not sure if I should go with a regular drill or an impact driver…n should I go with 18V or would 12 suit my purpose…just needing straight up opinion, both seem like good choices so I really don’t know which I should go with..please help! Hi, Michelle. This is a great question, and I’m glad that you asked. I have both a 12 volt and a 20 volt drill and impact driver. I prefer the 12 volt for most tasks because it is smaller, lighter and much easier to handle. The 20 volt is nice for heavy construction such as deck building, but I actually have built a couple decks with the 12 volt as well. I just end up charging the battery more frequently. So, for most people in most situations, I would advocate for the 12 volt. I’d say, depends on your budget and expected work capacity. Odd jobs around the house, and/or limited budget? Just go with a drill. If you find yourself picking up woodworking or other crafting as a hobby, then get an impact driver later, made by the same manufacturer so you can swap batteries between the two if need be. Same advice goes for the battery capacity. If you’re just using it to fix the odd job around the house and/or budget is tighter, go with the 12V. If you think you’ll be using it a lot, then go with an 18V/20V. Good info. I’m getting a combo kit probably the Bosch in the video. Also impact will not replace your drill because the hex interface is not as tight and precise as drill chuck so they’re prone to some wobble which may not be desirable for some drilling applications. Problem is one can only safely use impact drivers for relatively short periods of time without fear of getting “white finger” , a HAV related problem which the manufacturers need to be warning users of. Regular drill/drivers can be used for a lot longer, in some cases all day without compromise. Ask the manufacturer for the HAV rating! Would you give your 10 year old son a drill to drive a screw into a board or would you use an impact driver. Of course you would let him use the impact driver as if he used the drill and hit a knot the drill would keep turning and so would his wrist. I use the Rigid 12 volt cordless drill and cordless driver. I’ve had them about a year. I’ve not found anything that 12 volt system won’t do. I love the impact driver if I’m driving long screws into soft or hard wood either one. It gets loud if you are drilling inside a carcass, but that’s why we wear ear protection. Enjoy your videos, Paul. Would like to see more of you. Thanks for the great explanation. Well Done! Looking for 2017 US sales data for impact drivers. Do you know where I might be able to find published information of this type? Thank you. You wouldn’t believe how long I looked for a GOOD drill.